Donetsk militants threatens to hold new "referendum"
So-called "Chairman of people's council of Donetsk People's Republic" Denis Pushylin claimed about the possibility of holding not only the "elections" of the leaders of Luhansk and Donetsk People's Republics but also the new "referendum" as TASS reported. Particularly, he connects the holding of the "referendum" with the possible refusal of Kyiv to prolong the law on the special status of occupied territories. "Ukraine hints that this law can be not prolonged in October and it will cease to exist. 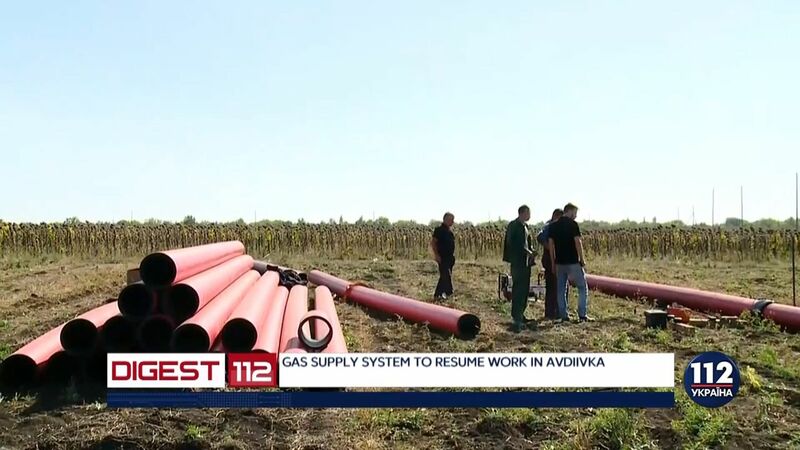 It will mean the refusal of Kyiv from the Minsk Agreements and the prospects to build the contractual relationship between Kyiv and Donbas, renew the trade connections and so on. In other words, it will be finally clear that no integration will take place and we will be forced to build on our "independence" and strengthen "sovereign statehood"," he said. Pushylin claimed that in such case, the issue on the holding of the "elections" of the heads of the self-proclaimed "republics" and to the "city council" will be under the decision. "Then we will need to hold the "elections" of the head and the "People's Council". And not only for these bodies. We will need to hold the "election to the city council". They were postponed as they fell under the Minsk Agreements. But if Kyiv withdraws from these agreements, we will hold them on our own," Pushylin said. As we reported the militants decided to postpone “the election” of the leaders of the so-called “Luhansk People’s Republic” (LPR) and “Donetsk People’s Republic” (DPR) for uncertain times. Citing the source in Kremlin, it is specified that the so-called “election” was postponed due to a few reasons, including the absence of the necessity to re-elect the so-called “MPs” and “leaders” of the self-proclaimed “republics”, due to the risks for the Minsk Talks and the prospects of new sanctions. As a result, the militants did not hold the preparations for “the election” in occupied Donbas. Earlier U.S. Special Envoy Kurt Volker claimed that Ukraine should extend law on the special status of Donbas. He admitted that the law was adopted, but never actually implemented. The MPs of the Verkhovna Rada claimed that this law will not be prolonged as the law on de-occupation of Donbas acts at the moment.